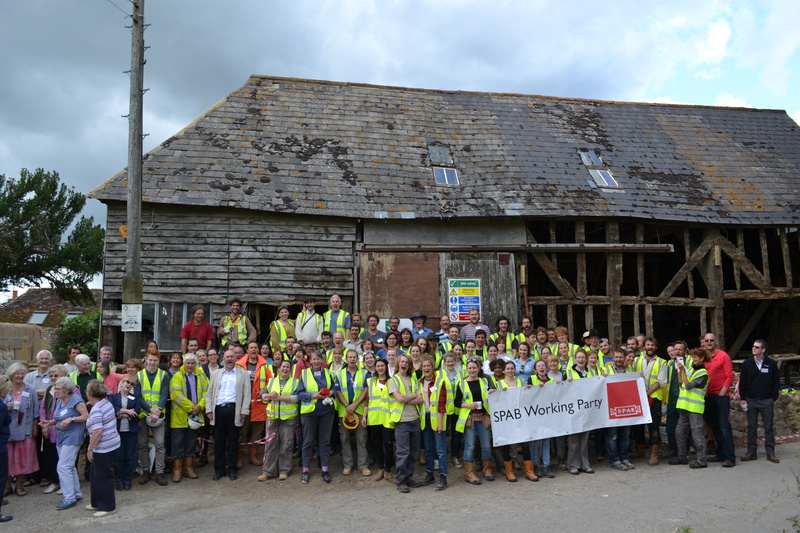 The SPAB 2015 Working Party is drawing to a close. 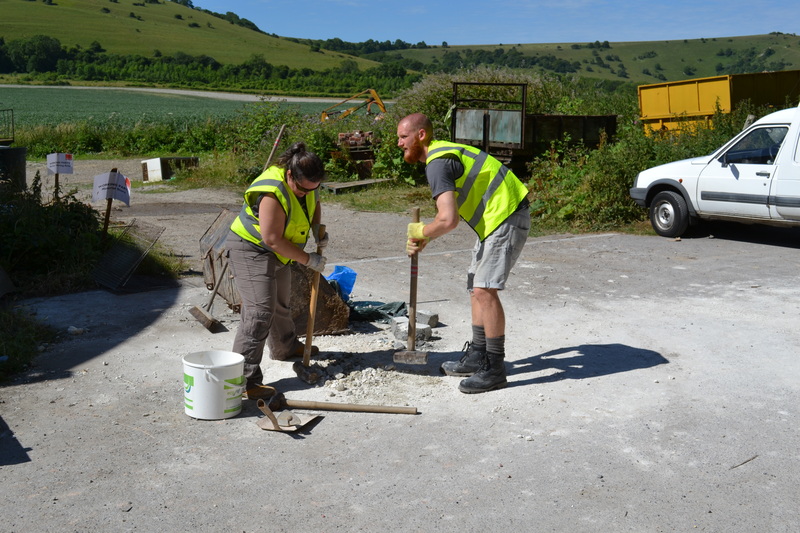 A packed programme on and off site made for a busy week; our volunteers have done a remarkable job on the six structures across Sullington Manor farmstead. 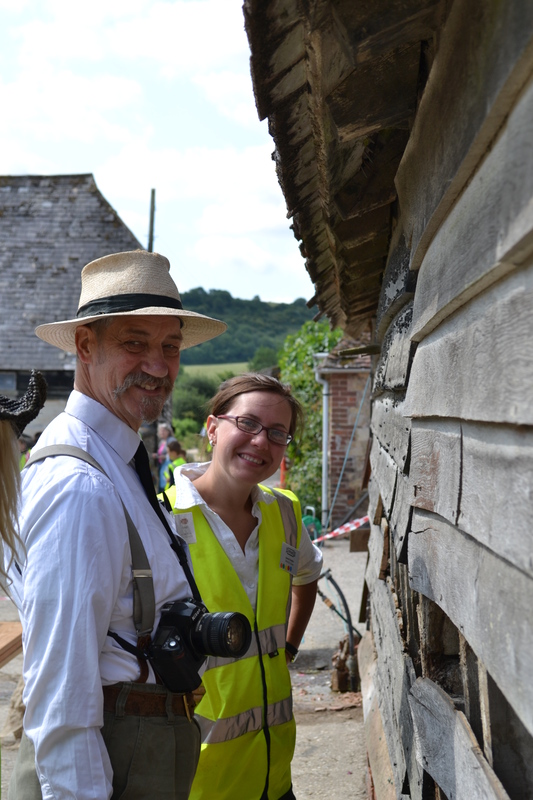 Sensitive and skilled repair work has ensured the future of this special collection of Saxon buildings. Last minute batches of lime were mixed for the final repairs of the week. The scaffolding around St Mary’s Church came down in time for the wedding due to take place there tomorrow. 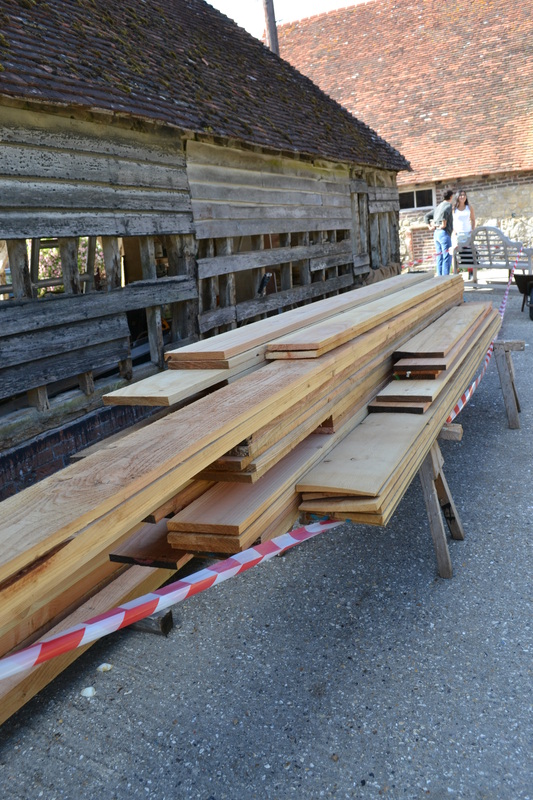 New timber (Douglas fir) was used to replace the unsalvageable 20th century planks on the cart shed. 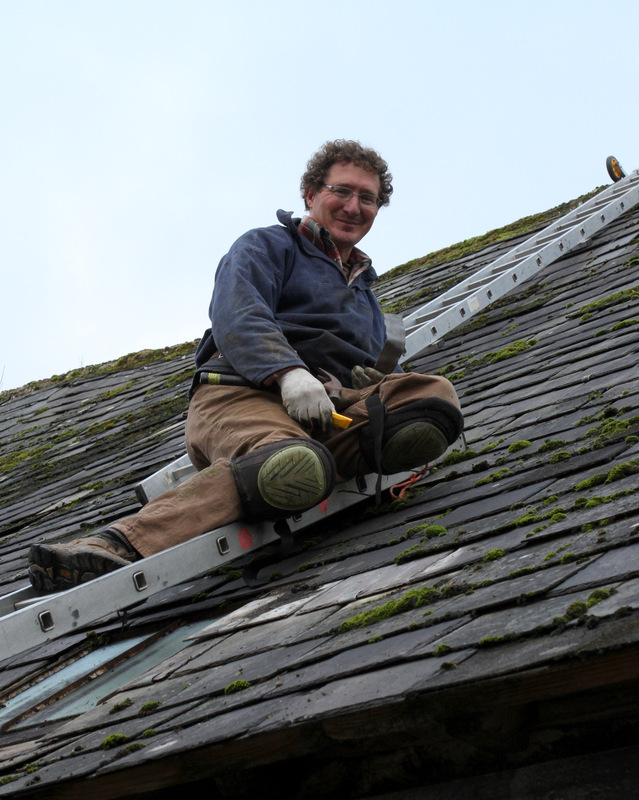 Jonny Garlick, Working Party project manager, says: “The atmosphere on site has been electric…such an enjoyable experience. It’s been an absolute pleasure working alongside such a great group of people”. 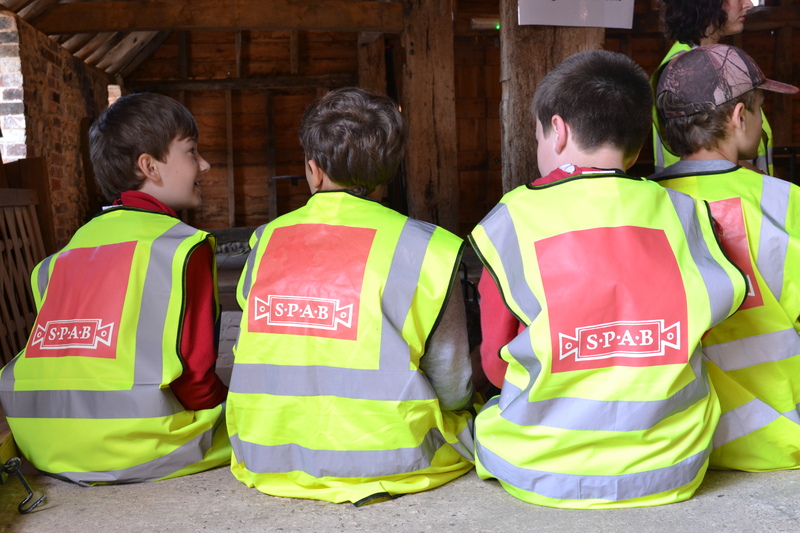 We’re looking forward to the SPAB Working Party 2016! 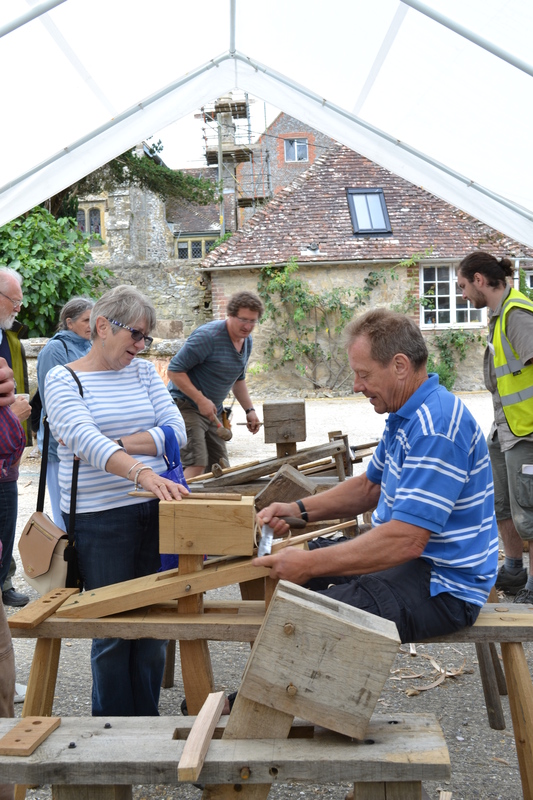 Blustery weather greeted visitors to Sullington Manor Farm this morning for the Working Party Public Open Day but that didn’t deter them from getting stuck into our hands-on displays. 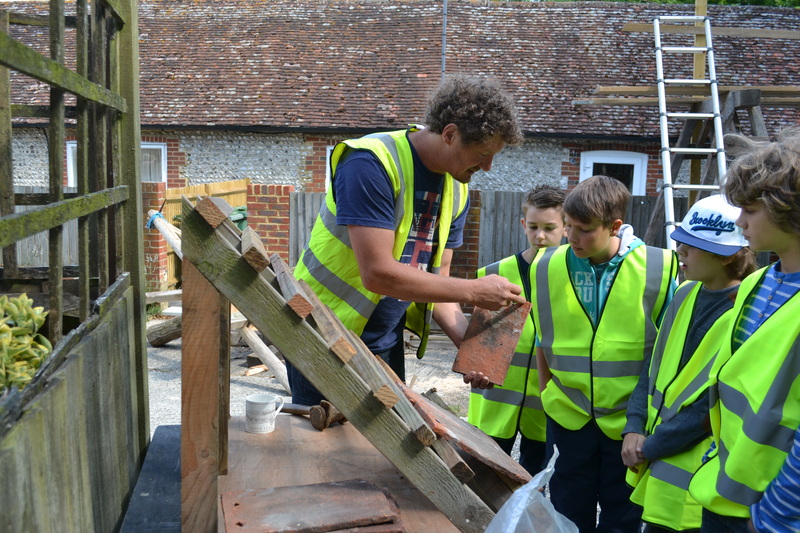 John and Henry Russell led a series of demos with their team that showcased traditional building techniques such as wattle and daub, timber hewing and peg making. 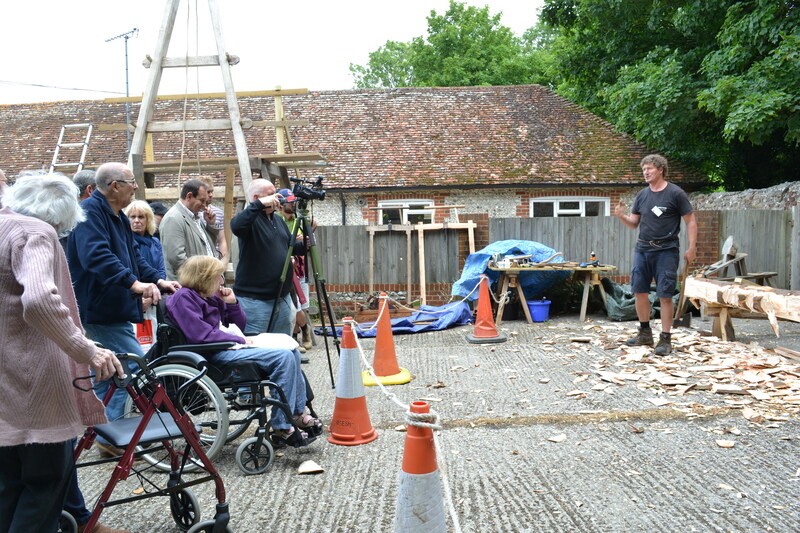 Local blacksmith, Martin Fox demonstrated his craft to a rapt audience and Matt Ash talked the crowd through a Victorian window repair. There was a packed programme of talks and walks with Dave Green for the Sussex Moth Group kicking off the day with a fascinating lecture on the moths he had captured around Sullington the previous evening. 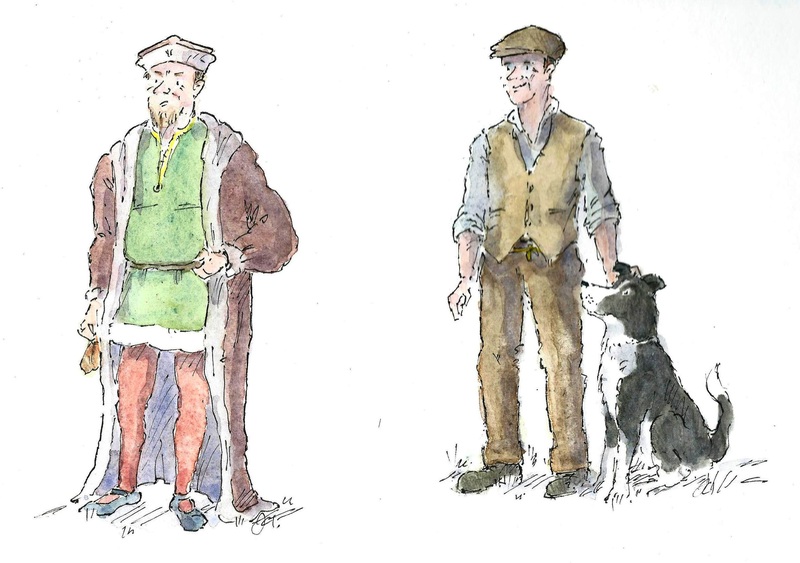 Gail Kittle, owner of Sullington Manor, led tours around the farmstead throughout the day. 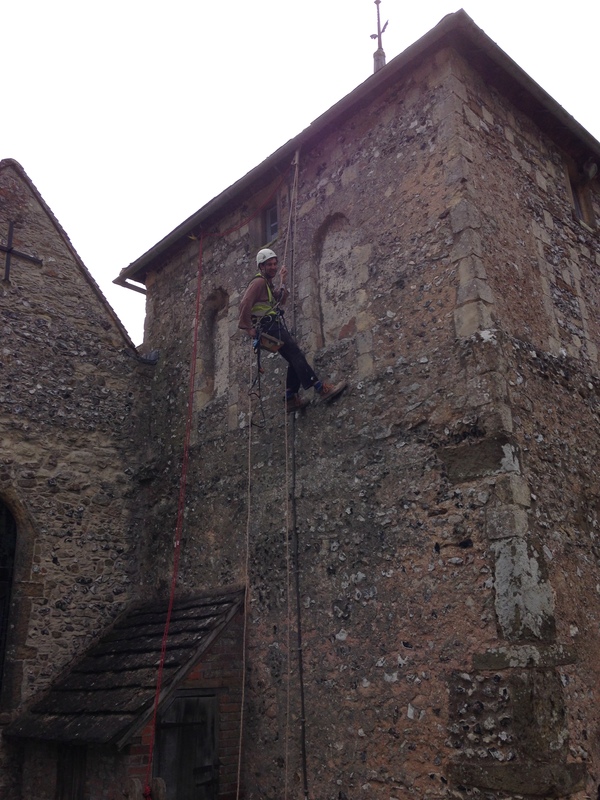 A highlight of the day was Geoff Gale abseiling down the exterior of the Saxon church, St Mary’s. He spent the day removing unsympathetic cement mortar that was causing damp issues inside the building. 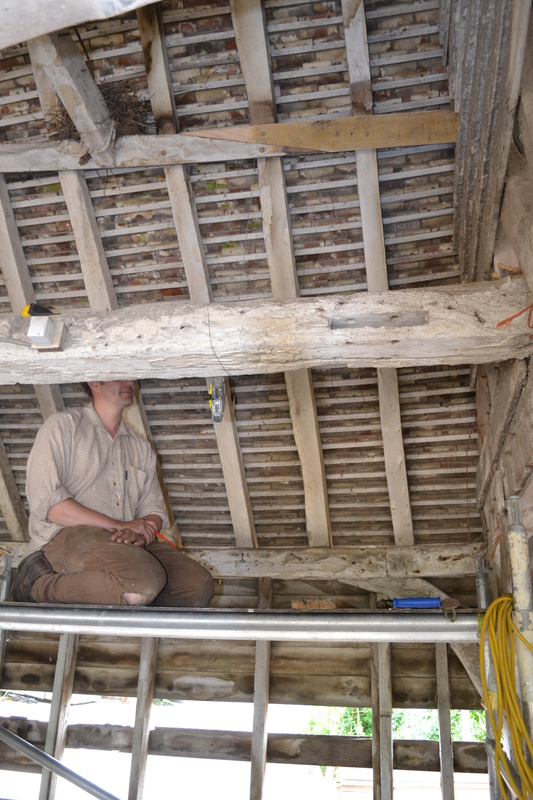 Inside the church, SPAB Guardian Rachel Morley spent the day applying a Victorian milk wash, which is a mix of limewash and milk, inside the church. 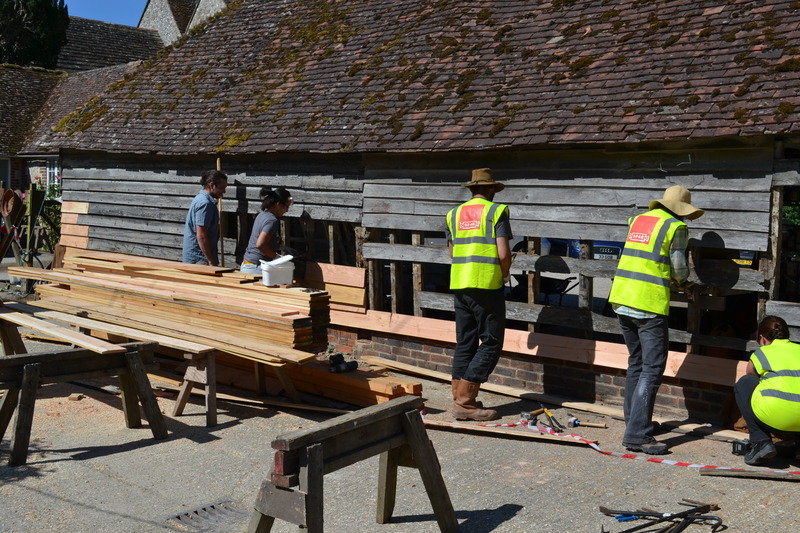 Work continued on in the cart shed, the lesser barn, the granary and the tithe barn. 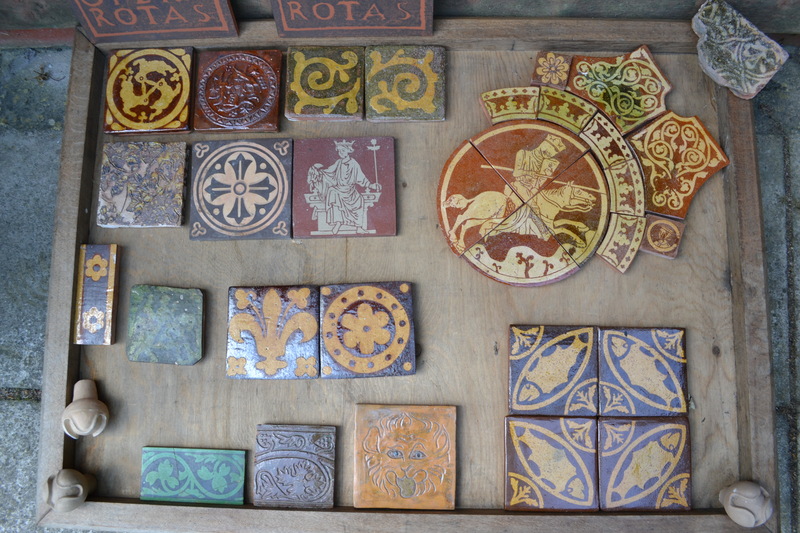 Most of the cement has been removed from the exterior of the tithe barn and volunteers have carried out beautiful tile repairs. 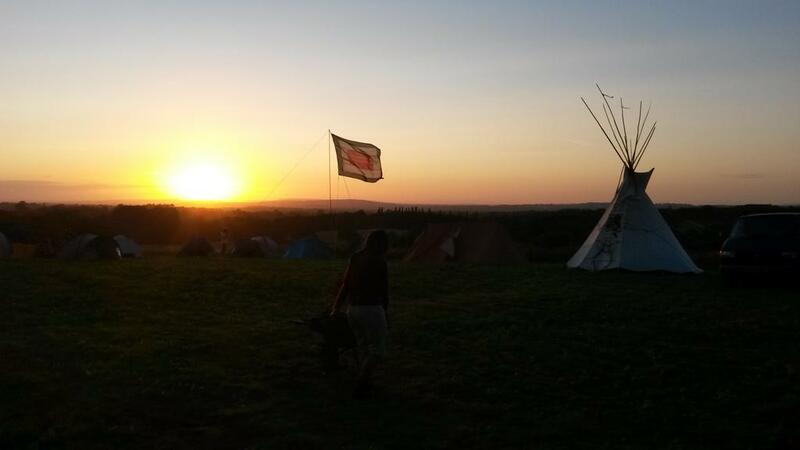 For more photos around the site, please visit our Facebook page. 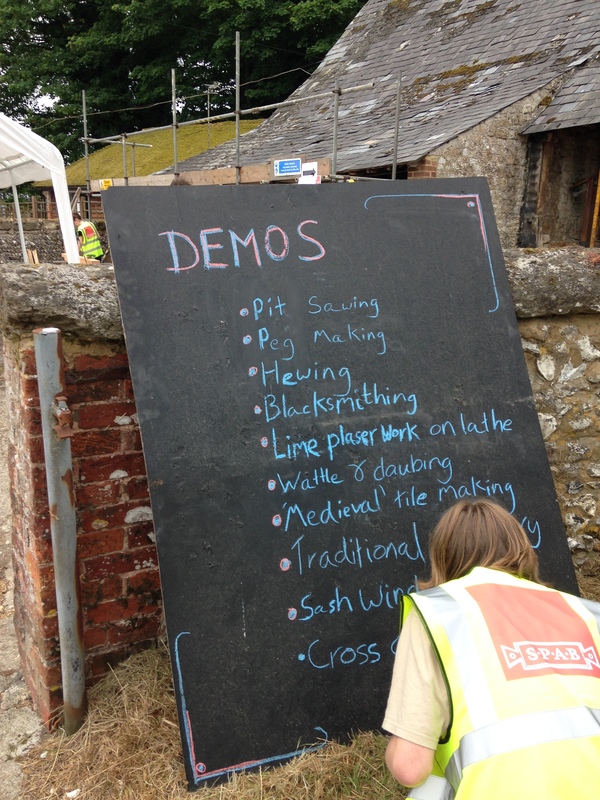 The SPAB will be blogging from the Working Party site all week. Subscribe to the blog so you don’t miss an update. 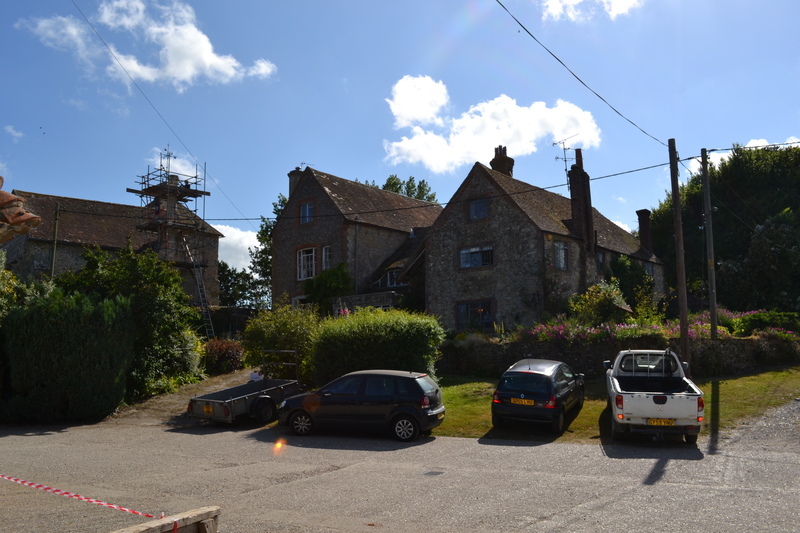 The Saxon farmstead in Sussex, Sullington Manor Farm, has been a hive of activity today. 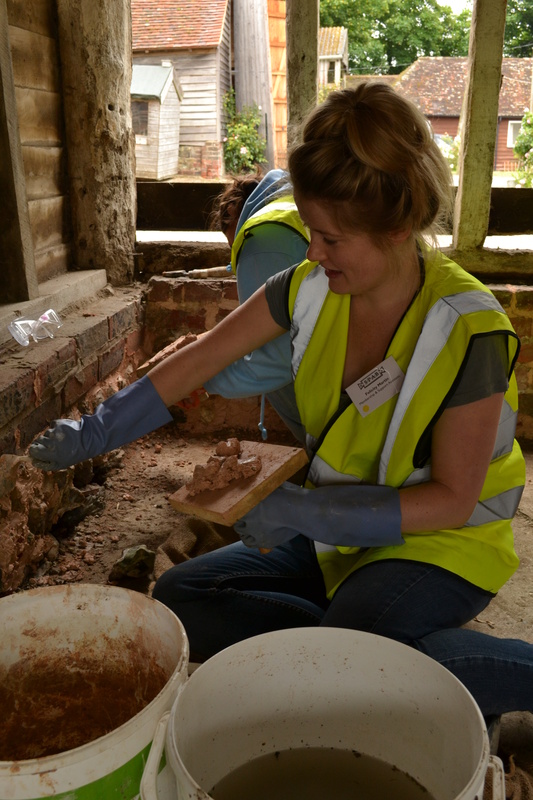 It’s the second day of the SPAB’s annual Working Party and work is well under way. Despite the size of this ambitious project — extensive repairs to six buildings in five days — our army of volunteers and experts are optimistic that everything will be completed by the end of the week. 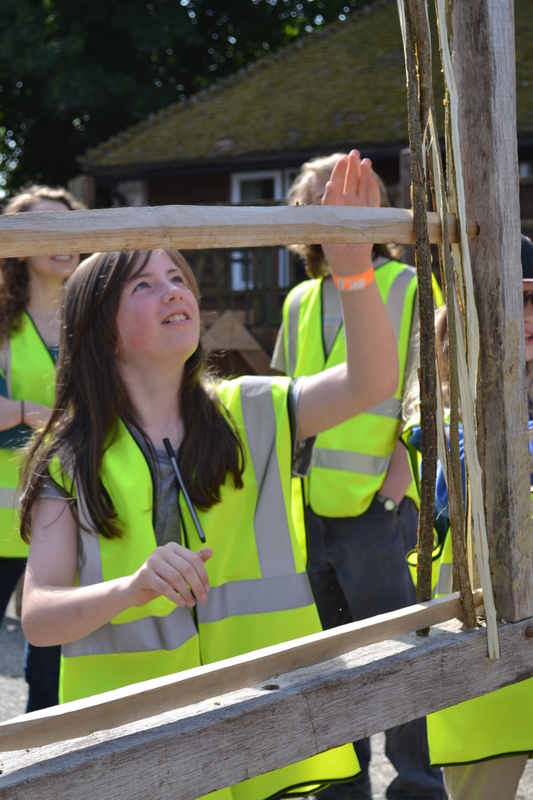 The work at St Mary’s church, Sullington has called for all hands on deck. 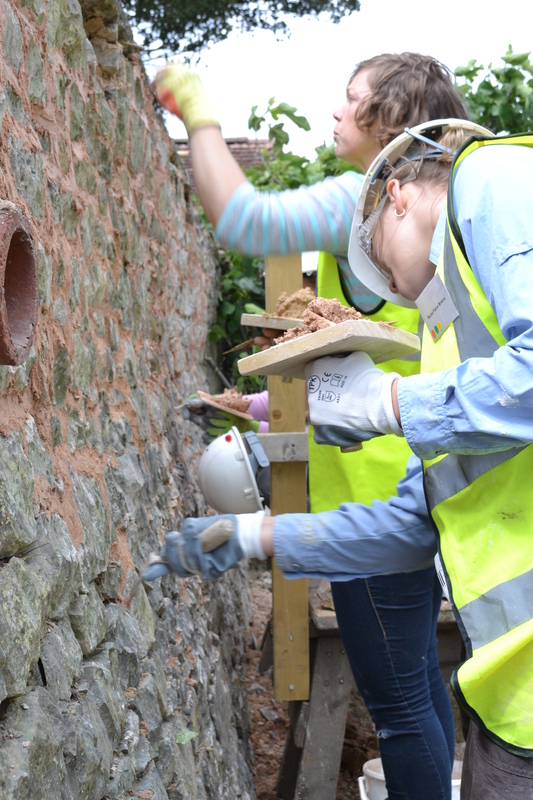 Volunteers, along with building conservation expert Anthony Goode and our own Douglas Kent, are working on the boundary wall of the churchyard. 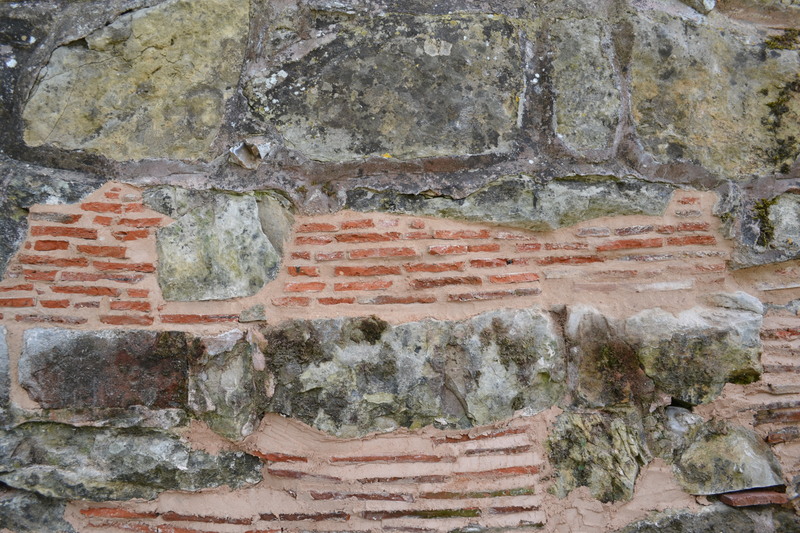 The 10-strong team have removed the ivy that has damaged the stonework and are now repointing with a non-hydraulic mortar mix (1 lime putty : 3 locally sourced sharp sand). 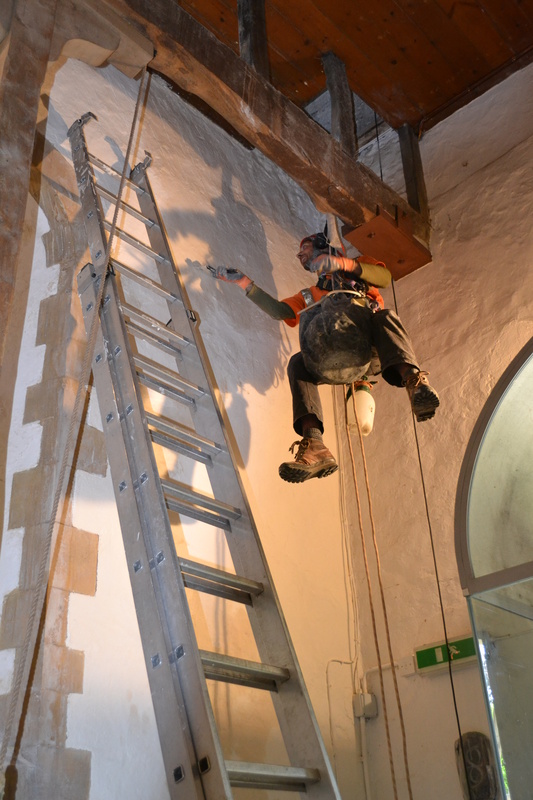 A particularly intrepid volunteer donned his abseiling gear to scale the interior of the Saxon tower at St Mary’s church, Sullington. Concrete mortar on the exterior of the tower had caused dampness issues inside. 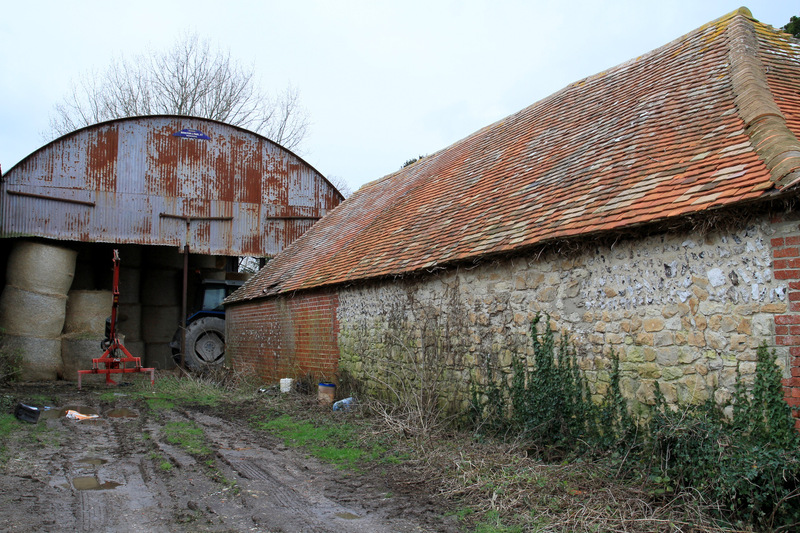 Another major project is the repairs to the cart shed. 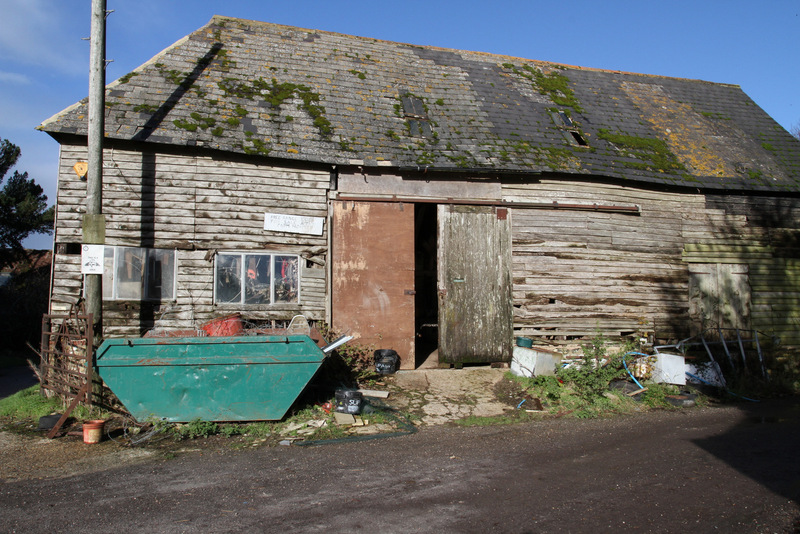 The base of an integral plinth had become rotten and the weight of the unsupported tile roof had caused the timber walls to buckle. 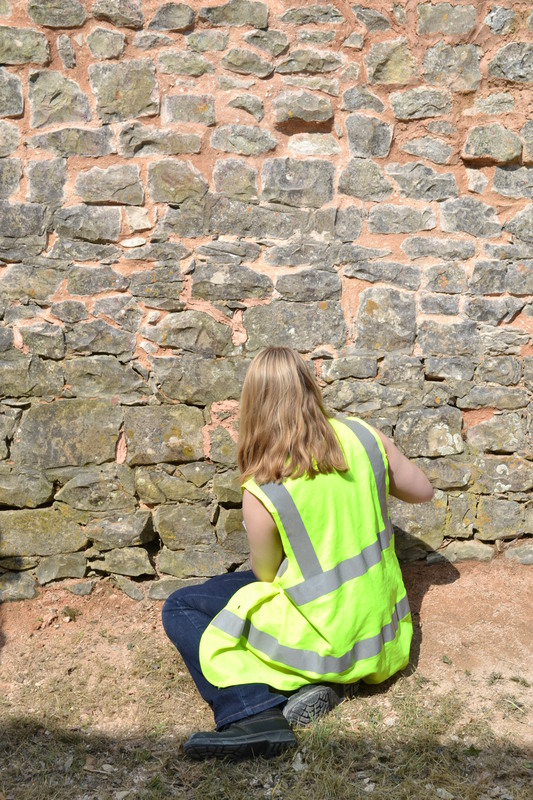 A team of Scholars, Fellows and volunteers have began to carry out structural repairs and low-level repointing.